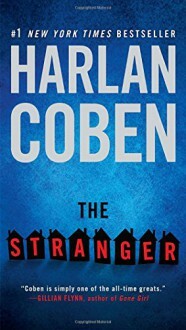 #1 New York Times bestselling master of suspense Harlan Coben's most shocking thriller yet, proving that a well-placed lie can help build a wonderful life-- and a secret has the same explosive power to destroy it.The Stranger appears out of nowhere, perhaps in a bar, or a parking lot, or at the grocery store. His identity is unknown. His motives are unclear. His information is undeniable. Then he whispers a few words in your ear and disappears, leaving you picking up the pieces of your shattered world.Adam Price has a lot to lose: a comfortable marriage to a beautiful woman, two wonderful sons, and all the trappings of the American Dream: a big house, a good job, a seemingly perfect life.Then he runs into the Stranger. When he learns a devastating secret about his wife, Corinne, he confronts her, and the mirage of perfection disappears as if it never existed at all. Soon Adam finds himself tangled in something far darker than even Corinne's deception, and realizes that if he doesn't make exactly the right moves, the conspiracy he's stumbled into will not only ruin lives--it will end them. This book was a fast read. While not as good as some of the author's previous books, even his second tier books are better than most other thrillers published this year. Definitely worth the time. http://Lizzy11268.booklikes.com Liz Loves Books.Com. 5.0 The Stranger - Review. text The Stranger - Review.